2 although the disbelieving Jews stirred up and poisoned the minds of the Gentiles against the brothers. 3 So they stayed for a considerable period, speaking out boldly for the Lord, who confirmed the word about his grace by granting signs and wonders to occur through their hands. 4 The people of the city were divided: some were with the Jews; others, with the apostles. 7 where they continued to proclaim the good news. 8 1 At Lystra there was a crippled man, lame from birth, who had never walked. 10 and called out in a loud voice, “Stand up straight on your feet.” He jumped up and began to walk about. 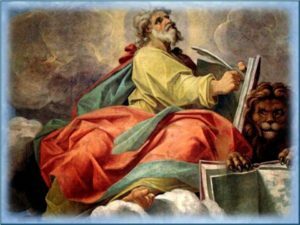 12 They called Barnabas “Zeus” 2 and Paul “Hermes,” because he was the chief speaker. 13 And the priest of Zeus, whose temple was at the entrance to the city, brought oxen and garlands to the gates, for he together with the people intended to offer sacrifice. 18 Even with these words, they scarcely restrained the crowds from offering sacrifice to them. 19 However, some Jews from Antioch and Iconium arrived and won over the crowds. They stoned Paul and dragged him out of the city, supposing that he was dead. 20 But when the disciples gathered around him, he got up and entered the city. On the following day he left with Barnabas for Derbe. 21 After they had proclaimed the good news to that city and made a considerable number of disciples, they returned to Lystra and to Iconium and to Antioch. 23 They appointed presbyters 5 for them in each church and, with prayer and fasting, commended them to the Lord in whom they had put their faith. 24 Then they traveled through Pisidia and reached Pamphylia. 25 After proclaiming the word at Perga they went down to Attalia. 26 From there they sailed to Antioch, where they had been commended to the grace of God for the work they had now accomplished. 27 And when they arrived, they called the church together and reported what God had done with them and how he had opened the door of faith to the Gentiles. 28 Then they spent no little time with the disciples. 2  Zeus . . . Hermes: in Greek religion, Zeus was the chief of the Olympian gods, the “father of gods and men”; Hermes was a son of Zeus and was usually identified as the herald and messenger of the gods. 4 [15-17] This is the first speech of Paul to Gentiles recorded by Luke in Acts (cf ⇒ Acts 17:22-31). 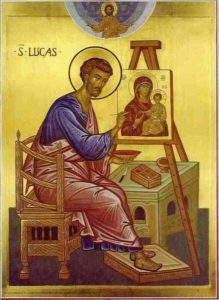 Rather than showing how Christianity is the logical outgrowth of Judaism, as he does in speeches before Jews, Luke says that God excuses past Gentile ignorance and then presents a natural theology arguing for the recognition of God’s existence and presence through his activity in natural phenomena.